Is REDD+ finance really put to work in the right places? In a recent article on Mongabay, Mike Gaworecki describes a recent report by the NGO Forest Trends, which suggests that the approximately $6 billion of REDD+ finance that has been pledged so far is being put to work in the right places. The report by Forest Trends analyzes information on REDD+ finance flows from 2009 to mid-2016 in combination with forest cover, deforestation, and emissions data covering 2001 to 2014 to show the “geography” of REDD funding and finds an overlap between forest loss and REDD+ funding levels across and within countries. While we believe that analyses of the uses of REDD+ funding are important, we take issue with the way the findings of this report are being used. We believe that it is misleading to praise the effectiveness of REDD+ finance simply based on information of the geographical location of expenditure. Our own recent research shows that REDD+ finance does not necessarily reach the most relevant people to make a difference on the ground nor does it necessarily address the underlying causes and drivers of deforestation. It also shows that we need to go beyond the geographical location of expenditure to reach a meaningful understanding of the workings of REDD+ finance. We are concerned that the tendency — exemplified by the Forest Trends report, press release, and the article here in Mongabay — to represent REDD+ as an inherently novel and effective means to resolve previous conservation challenges may result in little more than perpetuating the status quo with regard to forest-led climate change mitigation. We base this concern on our own study of the REDD+ process in Tanzania. In this study we demonstrate how REDD+ processes were supported by some $100 million to finance REDD+ readiness activities and a set of pilot projects. Yet, despite the massive financial support, taken overall the projects appear to have been unable to resolve the key challenges of deforestation and forest degradation that also hampered the achievement of ambitions under the previous PFM (Participatory Forest Management) model. Many have, in fact, used REDD+ financing to further develop, support, and expand existing conservation and forest management practices in areas where they already were active in promoting similar approaches. In doing this, some of the pilot projects appear to have confirmed the fears of REDD+ as a new harbinger of conservation related exclusion, displacement, and resettlement for forest-dependent communities, while achieving very little in terms of reversing the national deforestation and forest degradation trends. We demonstrate in our study that the large investments by donors in REDD+ in Tanzania have benefited mainly the professionals working for government departments, academia, consultants, and conservation NGOs. Based on this and related studies by other academics (see here and here, for instance), we argue that, at the moment, REDD+ in practice resembles longstanding dynamics of the development and conservation industry, where the promise of change becomes a discursive commodity that is constantly reproduced and used to generate value and appropriate financial resources. Thus, we argue that while REDD+ finance may flow into the right countries in terms of carbon saving opportunities (as per the Forest Trend report), it does not reach the right places and people. Rather, we argue that REDD+ finance predominantly supports governments, organizations, and consultants of the conservation-development sector, who embrace the REDD+ mechanism enthusiastically to further their own existence and legitimacy without achieving the necessary changes on the ground. The approximately $100 million of REDD+ finance to Tanzania has, so far, only resulted in the implementation of a handful of pilot projects and other readiness activities, while forest management outside of these isolated spots has not changed. Today, many people in Tanzania worry REDD+ will never take off. Photo by Jens Friis Lund. The Mongabay article you reference is covering a report that looks at the flow of REDD+ funds on a country-level basis. It does not evaluate whether the funds are reaching on-the-ground actors and therefore makes no claims about the effectiveness of this spending. Other Mongabay articles (as well as my own research) have looked at this issue specifically and concluded that REDD+ funds are often not reaching local communities and sub-national entities needed to actually slow deforestation, which is basically the point you are making here. I’d encourage you to take a look at our REDD+ feed for a more comprehensive view of our coverage on this issue. 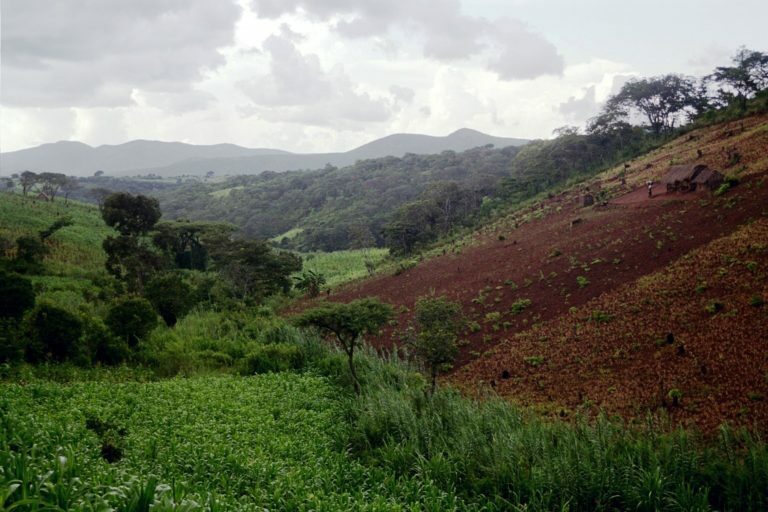 – Research into the effectiveness of individual REDD+ programs and countries is critical, and we appreciate the authors’ work to evaluate Tanzania’s REDD+ programs. At the same time, we caution against the use of any single case study to conclude that all REDD+ efforts are essentially “the same old thing.” In the authors’ referenced paper, they “argue for a re-conceptualization of REDD+ as a conservation fad within the broader political economy of development and conservation…”, an argument derived “from a study that compares the emergence of REDD+ in Tanzania with that of a previous forest-policy model.” There are examples of successes and failures for most forest conservation models, including REDD+, but shortcomings in one country’s REDD+ programs do not invalidate all REDD+ efforts and processes globally. We look forward with open minds to constructive dialogue focused on how to improve the design and implementation of forest conservation and climate change mitigation programs such as REDD+. We especially look forward to future research with the sufficient quality, geographic breadth and statistical strength to truly assess the effectiveness of global REDD+ investments in achieving the emission reductions that are so critical to our shared climate and future prosperity. 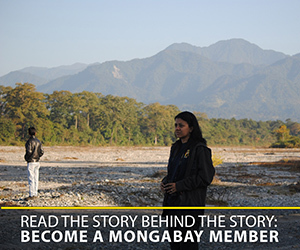 Finally, we thank Mongabay for continuing to be a resource and center of dialogue for professionals and academics around the world working to conserve forests.